Who actually enjoys waking up early? Okay I will admit i do. So who actually enjoys waking up early and making breakfast? Unfortunately I can’t go out and do that so I’ve started making breakfast at night while I make my lunches for the week. 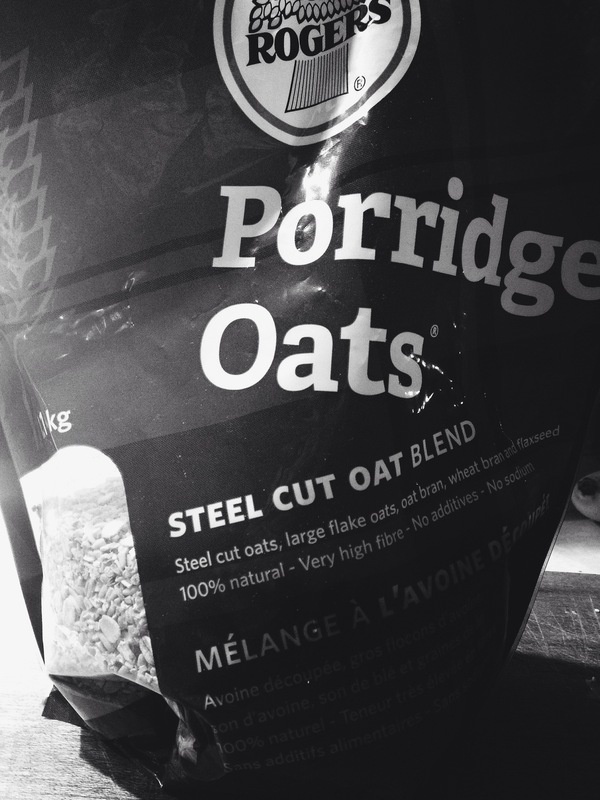 Oatmeal has always been one of my favourite breakfast foods. It’s warm and filling. Perfect for a winter day. It brings back amazing memories of spending winters in Jasper with my family. I would always order oatmeal from the one restaurant and to this day it’s the only thing I will order there!! 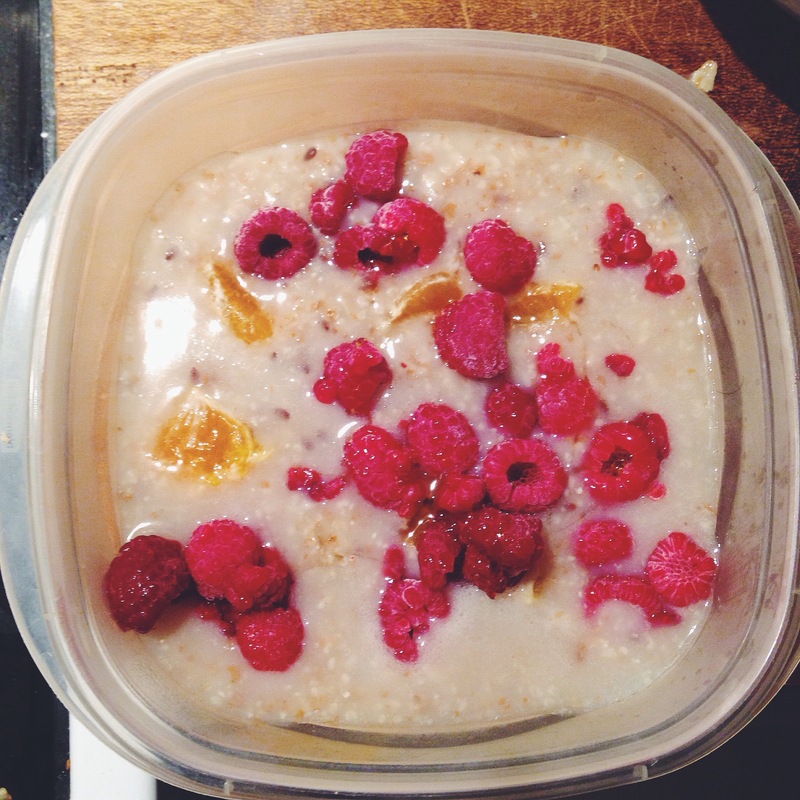 So today ( or should I say last night ) I made some raspberry orange eggnog oatmeal!! I don’t have a real recipe today, it’s more of a suggestion! 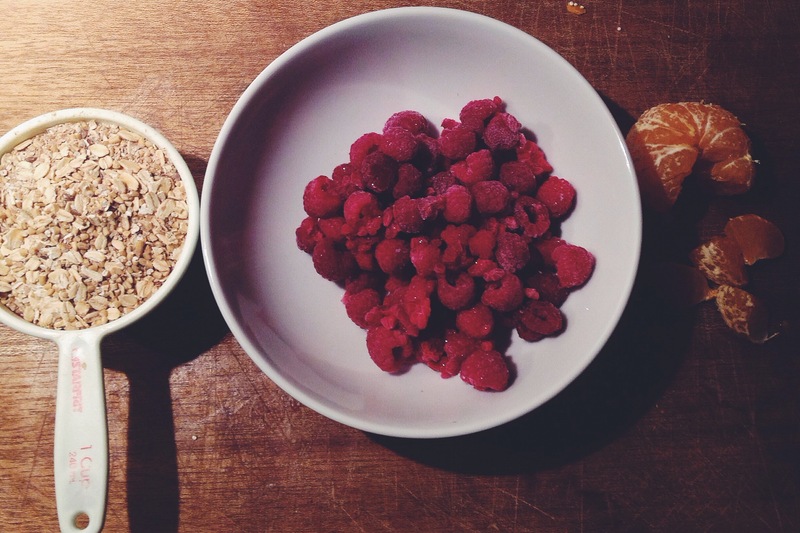 Follow the directions on your oatmeal but leave a little runnier then normal. Add your fruit and syrup. Store in an air tight container in the fridge till breakfast time! I left mine more runny because it will soak in over night and keep it from becoming too dry. Microwave and then top with a bit if oatmeal. It’s quick and easy. The best part is, you can make a whole weeks worth of breakfast!!! Let me know how you like to eat your breakfast!! I have to use a microwave because I don’t have access to a stove at work. The oatmeal is all pre cooked due to the meal prep I do.